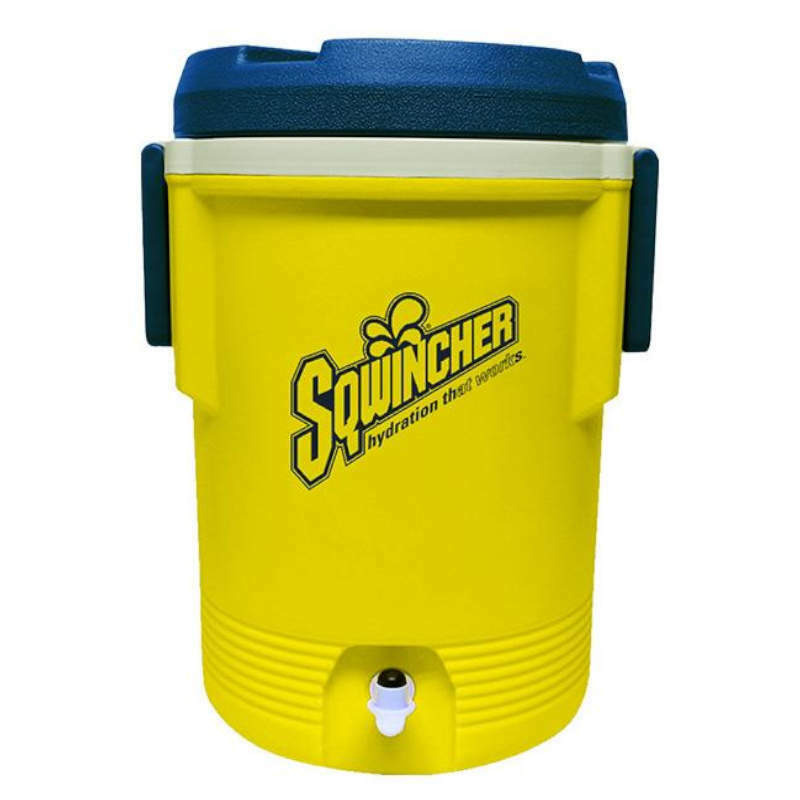 Carry Sqwincher wherever you go with our line of durable 1 gallon, 3 gallon, 5.5 gallon and 10 gallon coolers that come with industrial strength handles, cup dispenser mount and a convenient "urn-style" spigot that makes product dispensing easy. than the lid, eliminating unsanitary mold, mildew and bacteria buildup inside. rustproof construction with added UV inhibitors to prevent color fading. • Handles - Handles lock easily into place for convenient handling and transportation. grip and constructed for long lasting durability. plastic outer jacket assures years of durable service and satisfaction. unneccessary product breakage and wear. volume means more headspace for ice and a cooler that stays cold longer. "Choose From 4 Different Cup Sizes and Accessories Below"